What happens when candida on the skin become infectious? Know the complete story of cutaneous candidiasis! Your skin is the largest organ of your body. Many microorganisms live and grow within your body in order to support in a variety of physiological functions. But, when they start to grow uncontrollably and rapidly, the major destruction starts. Candida is a fungus living in your body and helping in the healthier absorption of the food. When candida overgrowth begins, it starts harming you and cause infection. Not only is candida related to infection, in fact, it has the potential to cause cancer as well. Generally, candida symptoms are exhaustion, sweet cravings, bad breath, white coat on tongue, chronic sinus, gas and bloating, hormonal issues, joint pain, and UTI. Molecular Biologists at Rice University revealed that candida is commonly found in humans and it is usually present in colonies in your intestine, mouth, and on skin. Increased consumption of antibiotics, poor eating habits, pregnancy, stress, lack of sleep, weakened immune system, and uncontrollable diabetes are the major causes behind candida infection. Candida infection can spread from one person to another either by sexual contact or by dampened towels. If the candida overproduction occurs on your skin, this condition is known as cutaneous candidiasis or candida of skin. How would I know that I’m suffering from Cutaneous candidiasis? Well, rash is the main symptom that you would experience when the candidiasis hits you. As the infection progresses, the rash becomes red and itchy. However, the cracked and sore skin could occur due to the fungal infection. In some cases, pustules and blisters have also found. The purple patches occur due to candida infection somehow resemble the eczema rash. Also, you would experience the highest degree of itching near the edges of the patches. Though, the rash can occur on different region of your body, but most commonly, it is found in the skin folds, including, armpits, groin, between fingers, and under breasts. Also, the infection can be developed in the edges of the nails, and mouth corners. Other medical conditions, ringworm, hives, herpes, contact dermatitis, seborrheic dermatitis, psoriasis, and diabetes-related skin problems may mimic the symptoms of cutaneous candidiasis. What are the triggering factors for cutaneous candidiasis? Candida fungi multiply in the moist medium, that’s why, it grows more efficiently in the skin folds. Candida overgrowth can also occur in babies and the common site of rash is buttocks. Do you know what’s the reason? A diaper can provide the absolute environment for the fungal overgrowth. Though, the candida on the skin isn’t contagious, but if candida is affected to an immunity-compromised individual, then, the infection can be transmitted and become even more severe. With the help of simple physical examination, your doctor can easily locate the rash and investigate the appearance of the rash on skin. Your doctor will also ask you to have a skin culture to make the confirmatory diagnoses of cutaneous candidiasis. How can the skin culture be collected? Don’t get stressed because the skin culture won’t be painful at all. 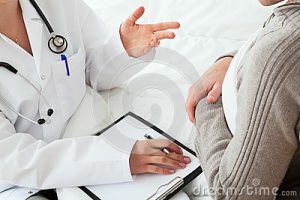 What your doctor will do is he/she rubs the cotton swab on the affected area. In a meanwhile, the doctor will collect the skin sample and then, it’ll be sent to the laboratory for further investigation. You would be thinking that why is it important to have a skin culture. Well, it is significant to at least pinpoint the real cause of rash. If you’re diagnosed with cutaneous candidiasis earlier, you’ll get the treatment earlier. How to treat the cutaneous candidiasis? Though, your doctor will start the medications as soon as you’re diagnosed, but, if you take care of several measures, you can stay away from the cutaneous candidiasis. Abnormal sugar level provides the perfect medium for the overproduction of the candida. Hence, if you’re diabetic, then you should keep your sugar level in control to prevent the rapid multiplication of the candida. In fact, several studies also revealed that controlled blood sugar levels can help in relieving the symptoms of cutaneous candidiasis. All you need to do is to cut off the sugar intake in your diet and include 30-minutes exercise at least three times in a week. In moderate, severe or consistent cases of candida, your doctor may start the antifungal medicines. With the application of antifungal creams or powders over the skin, the rash may become dry and less itchy. These antifungal medicines will kill the candida and decrease the proliferation of the infection. If over-the-counter creams won’t be effective and you’re experiencing the intense symptoms constantly, then doctors may recommend other more powerful antifungal creams, including, nystatin etc. Also, if the infection is continuously spreading, then, your doctor will prefer the injections to control the infection. In some cases, the infection may spread to internal areas of the body, like throat or mouth, then, antifungal oral medications would be included in your treatment plan. Sometimes, your doctor will prefer combined treatment as per your condition. In this treatment plan, corticosteroids will be added along with antifungal cream to taper down the intensity of symptoms. Even, the inclusion of anti-inflammatory drug (corticosteroids) can let the red itchy patches vanished. Also, the treatment choice depends on how severe your symptoms are and what is the duration of the symptoms. Perhaps, the creams or powders will help to ease off the symptoms initially, but, if every possible treatment option is failed, then, your doctor will take a serious action to get cutaneous candidiasis controlled. How to treat cutaneous candidiasis at home? Despite you’re taking doctor’s opinion seriously, you should try home remedies to ease off the symptoms eventually. 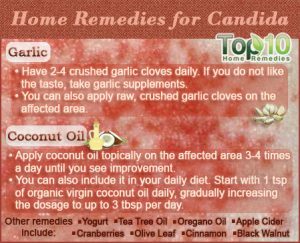 Mild cutaneous candidiasis can be treated with the application of apple cider vinegar, tea tree oil, coconut oil, and garlic oil. Because these oils are inexpensive and no side effects, you can use it whenever the symptoms spike up. Are babies and children prone to cutaneous candidiasis? Of course, candidiasis on the skin, hairs, and nails is common in infants and babies. A case has been reported from Spain in 2012, in which mother had suffered from vaginal candida infection transmitted the infection to a full-term infant. Within 24-hour, the symptoms of cutaneous candidiasis have been noted. Sepsis and respiratory distress were the main symptoms observed by the doctors. Also, the blood culture was positive for staph. Aureus. However, the patient was given treatment on time and he survived. Diaper related rash acts as a provoking agent in developing the cutaneous candidiasis in babies. 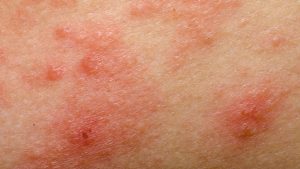 You can suspect a rash due to cutaneous candidiasis, if you’re observing a red rash with a well-defined border, usually lasting more than three days. Try to keep changing the diaper frequently. Prefer the loose-fitting clothing for babies so that the chances of cutaneous candidiasis will be decreased. You should also watch out the oral thrush, specifically, in the initial six months after birth, because, it is revealed through several studies that oral thrush is also common in infants and newborn babies under 6 months old. Immediately report to a doctor if you observe, whitish patches on the lips, tongue, or even inside of the cheeks, and cracked skin around the corners of the mouth. Your doctor will prescribe you antifungal cream after the cutaneous candidiasis confirmation. You can apply the cream several times in a day according to the doctor’s prescription. If the candidiasis on the skin left unnoticed, it can easily invade in the bloodstreams and cause destruction. Undoubtedly, healthy children tend to have a stronger immune system, but in a study conducted in 2010, it is stated that the cutaneous candidiasis is increasing among the children. The hidden reason is the increased consumption of antibiotics, which are actually given to treat other condition, but as a side effect, the children get the cutaneous candidiasis. 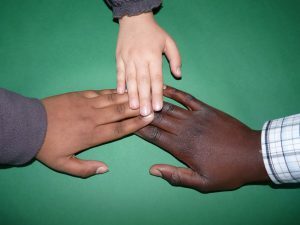 Children who loves thumb-sucking all the time are more vulnerable to get the cutaneous candidiasis. Can you guess the reason? Well, the candidiasis infection is more proliferated in or around the nail beds. 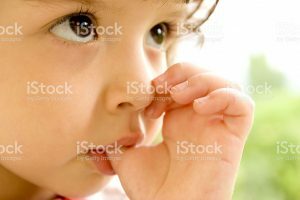 Hence, if children is continually sucking his thumb, the infection can easily enter into the children’s system. Children older than 9 months experiencing the frequent episodes of oral thrush or skin infection should be checked straight away, because, the reoccurrence of the infection could be the indication of poor immune system. If the older children are frequently suffering from severe infections, you should get them medically screened for diabetes. Can I prevent the cutaneous candidiasis? Author sundra poolePosted on January 4, 2017 Leave a comment on What happens when candida on the skin become infectious? Know the complete story of cutaneous candidiasis! Is Cancer related to Candida? Know the facts that no one will tell you!